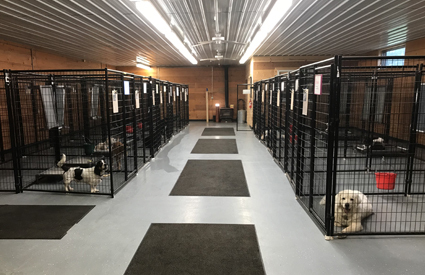 At Prairie Ranch Kennels it is our mission to make your dog feel like he is at home. *Not based on 24hrs. There is a charge for each day. 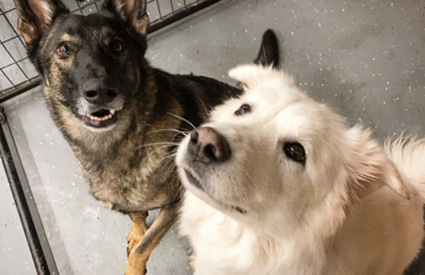 $40 for two dogs sharing the same kennel. 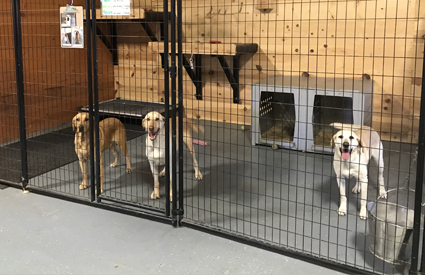 $60 for three dogs sharing the same kennel. We have both 25 sq. ft. kennels and 50 sq. ft. kennels. We provide a Kuranda© cot in all kennels. (3) 35’ x 200’ with swimming pools!!! Dogs are out a minimum of 5 times a day in the secured grassy area. 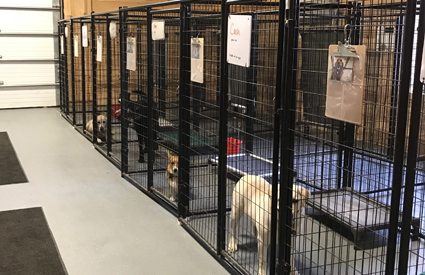 Our kennels are heated and air-conditioned for your pet's confort. On days when air conditioning is not needed fans are going to keep air moving and the dogs comfortable. Continuous music plays to keep the dogs calm. Your veterinarian can fax or email your pet's records. Bordetella (Kennel Cough), Distemper, Rabies. *Our charges are per day, not per night. *You will only be charged for 1/2 day when picking your pet up before noon or dropping your pet off after 5 pm.